Kitsap Trident Homes, Inc. is a local, family-owned and operated general construction company based in Poulsbo, Washington. 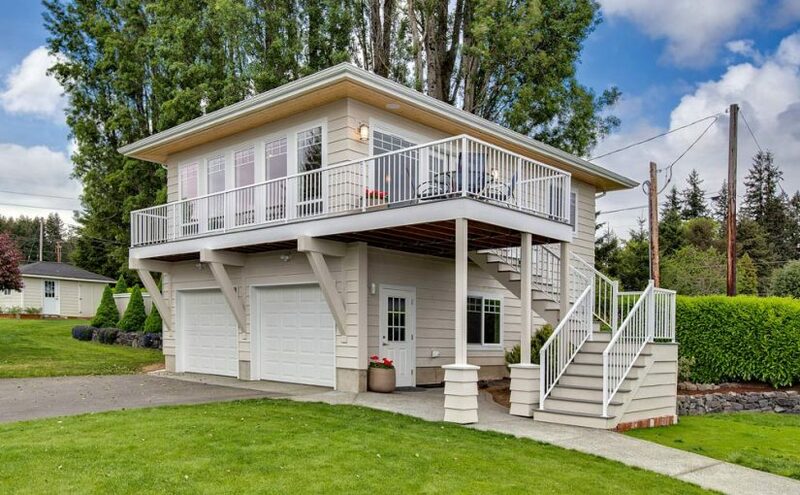 Since 1978, we have been providing a wide range of projects throughout Kitsap County and surrounding areas, including residential, commercial, remodels and building maintenance. Jim and Justin Ingalls offer a hands-on management style and are involved in your project on a daily basis. As a client you will be guided and encouraged to offer suggestions throughout the building process. Kitsap Trident Homes, Inc. has provided many types of housing, such as affordable homes for the first time buyer, duplexes, multi-family projects, well-built spec homes and high-end custom homes. Over the years, the company has developed building sites ranging from single-family lots to five-acre tracts. We have also been involved in numerous commercial building projects and tenant improvements. We understand that every project is unique and specific to our customers needs. Whether it’s a new home, a remodel of your existing residence, adding a deck or garage, we understand it’s a significant financial and emotional investment. Our goal is to provide exceptional quality and customer service while partnering with you to exceed your expectations. With Kitsap Trident Homes, Inc. you can expect an honest, open-book, stress free approach for your building experience that cannot be matched. We look forward to a relationship with you before, during and long after your home is complete. Kitsap Trident Homes, Inc. is actively involved in the Home Builders Association of Kitsap County having served on the Board of Directors and both Jim and Justin have served as President.